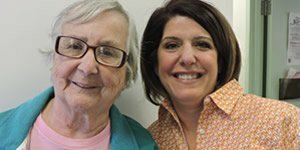 Each time a client picks up groceries, they work one-on-one with a volunteer to put together a package that meets the needs of their household. Clients make choices in various categories so that personal preferences and dietary restrictions are accommodated. The groceries include items for breakfast, lunch and dinner. Depending on availability and season, clients may also choose from fresh fruits and vegetables. 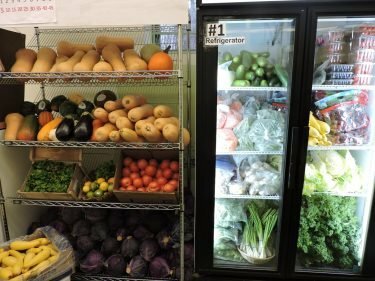 Clients of the Center may visit weekly to pick up bread and produce.The availability of these items varies considerably, and the selection is greater during the summer when many farmers and gardeners are donating to the Center. 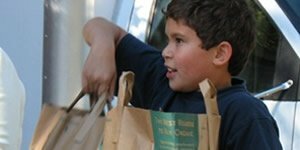 The Center serves as a distribution point for free food from the United States Department of Agriculture (USDA), which provides an assortment of healthy foods that eligible families receive in addition to the regular package of groceries. 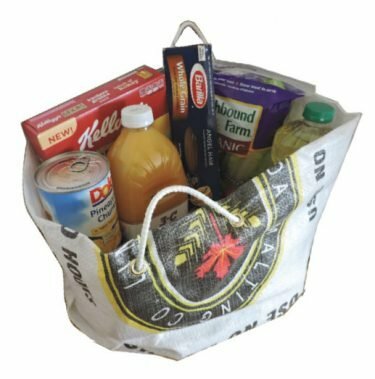 The number and type of items vary frequently, so in some months it may be a large bag of food and in some months only one or two items. USDA foods are available from both our Northampton and Goshen locations.